The ABI has experienced technical issues with its cooling system during the orbital check-out phase of GOES-17's six instruments -- the other five are performing normally. The cooling system is a significant part of the ABI and did not start up properly. This fact sheet (PDF) explains more about the loop heat pipe issue. Dr. Steve Volz, director of NOAA's Satellite and Information Service, Pam Sullivan, director of the GOES-R System Program and Joe Pica, director of the Office of Observations for NOAA's National Weather Service. Click here to listen to the audio from the July 24, 2018 GOES-17 ABI media call. Advanced data will detect environmental hazards, improve weather forecasts. Weather forecasters officially have a new tool in their arsenal, as the first satellite in NOAA’s new Joint Polar Satellite System has passed rigorous testing and is now operational. Launched last November as JPSS-1 and renamed NOAA-20 once it reached orbit, the satellite features the latest and best technology NOAA has ever flown in a polar orbit to capture more precise observations of the world’s atmosphere, land and waters. Data from the satellite’s advanced instruments will help improve the accuracy of 3-to-7 day forecasts. “Improved weather forecasts can save lives, protect property and provide businesses and communities valuable additional time to prepare in advance of dangerous weather events,” said Secretary of Commerce Wilbur Ross. NOAA-20 provides NOAA’s National Weather Service with global data for numerical weather prediction models used to develop timely and accurate U.S. weather forecasts. In addition, high-resolution imagery from the satellite’s Visible Infrared Imaging Radiometer Suite, known as VIIRS, will enable the satellite to detect fog, sea-ice formation and breaking in the Arctic, volcanic eruptions and wildfires in their very early stages. This advanced modeling and imagery information, shared with international and governmental partners, will help businesses, the emergency preparedness and response communities and individuals make the best decisions possible in the face of weather-related hazards. 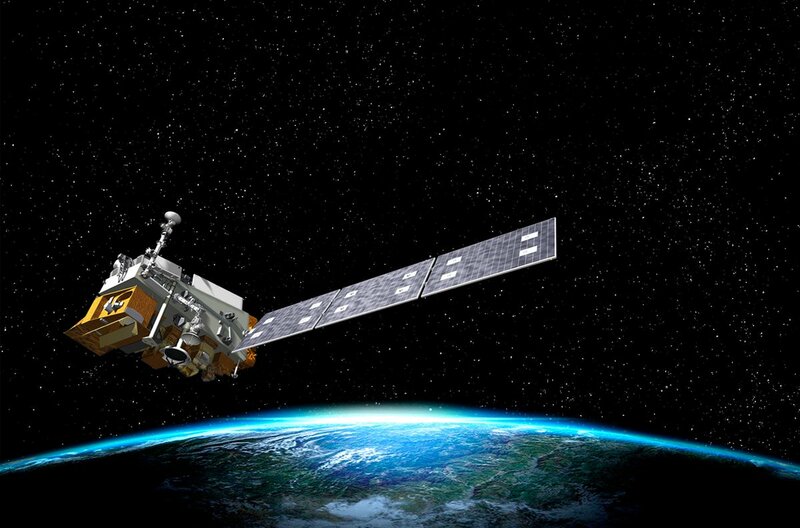 NOAA-20 joins Suomi NPP – the NOAA-NASA demonstration satellite launched in 2011 – giving the U.S. the benefit of two sophisticated spacecraft in nearly the same orbit. Each circles the Earth in a polar orbit 14 times a day, collecting global observations that form the basis for U.S. weather prediction. “NOAA-20 is especially beneficial for tracking developing storms in the Arctic, Alaska and Antarctica. Forecasts for these remote regions are critical for the U.S. fishing, energy, transportation and recreation industries, which operate in some of the harshest conditions on the planet,” said Neil Jacobs, Ph.D., assistant secretary of commerce for environmental observation and prediction. JPSS-2, the second in the series, is scheduled to be launched in 2021, followed by JPSS-3 in 2026 and JPSS-4 in 2031. JPSS satellites are designed to operate for seven years, with the potential for several more years. The JPSS mission will deliver its critical data and information for at least the next two decades to support a Weather-Ready Nation. Click here to listen to the audio from the May 23, 2018 media call. January 5, 2018: NOAA is pleased to be a sponsor (along with NASA and USGS) of Thriving on Our Changing Planet: A Decadal Strategy for Earth Observation from Space (2018), released today by the National Research Council. We thank the authors and contributors for their work, and we look forward to reviewing their recommendations in greater depth over the coming weeks. The goal of the survey is to provide expert, consensus recommendations for a forward-looking, integrated and sustainable approach to the U.S. government’s civilian, space-based Earth science programs. The last decadal survey was published in 2007. NOAA is a leader in providing actionable, environmental intelligence to US citizens and the international community. NOAA’s fleet of advanced satellites operates 24/7, 365 days a year to capture data and imagery that powers weather forecasting models, helps us track severe weather minute-by-minute, and helps us assess short and long-term changes to our climate. We also host one of the most significant archives of environmental data on Earth, spanning million-year-old ice core records to near-real-time satellite images. Learn more about the survey and find a link to the report. NOAA is one month away from launching GOES-S, its newest geostationary weather satellite that will begin providing faster, more accurate data to track storm systems, lightning, wildfires, dense fog, and other hazards that threaten the western U.S., Hawaii, and Alaska. In tandem with GOES-16, the first satellite in NOAA’s new geostationary series and now in the GOES-East position, the two satellites will observe most of the Western Hemisphere, from the west coast of Africa to New Zealand. This includes the northeastern Pacific, the birthplace of many weather systems that affect the continental U.S., and where there is comparatively little data. When it’s operational later this year, GOES-S will take up the GOES-West position. And like GOES-16, GOES-S will scan the Earth five times faster at four times the image resolution, with triple the number of channels than previous GOES for more accurate, reliable forecasts and severe weather outlooks. “GOES-S will provide high resolution imagery of the western U.S. and eastern Pacific Ocean completing our satellite coverage to further improve weather forecasts across the entire country,” said Louis W. Uccellini, Ph.D., director of NOAA’s National Weather Service. In addition to improving weather forecasts, GOES-S will help forecasters identify wildfire hotspots shortly after they begin, and to see rapid intensification - invaluable information that emergency teams need to fight fires and evacuate people in harm’s way. The satellite will also help forecasters better track and predict the formation and dissipation of fog, which can disrupt airport operations. The GOES-R Series satellites are designed for 10 years of on-orbit operation, followed by up to five years of on-orbit storage. There are four satellites in the GOES-R series: -R, -S, -T and -U, which will extend satellite coverage through 2036. NOAA manages the GOES-R Series Program through an integrated NOAA-NASA office, with personnel from both agencies. NASA’s Goddard Space Flight Center oversees the acquisition of the GOES-R spacecraft and instruments. Lockheed Martin is responsible for the design, creation, and testing the GOES-R Series satellites and for spacecraft launch processing. Harris Corp. provides the main instrument payload, the Advanced Baseline Imager, along with the ground system, which includes the antenna system for data reception. The Joint Polar Satellite System-1, the first in a new series of four highly advanced NOAA polar-orbiting satellites, lifted off from Vandenberg Air Force Base, California, at 1:47 a.m. PST this morning. The satellite’s next-generation technology will help improve the timeliness and accuracy of U.S. weather forecasts three to seven days out. JPSS-1 will be renamed NOAA-20 when it reaches its final orbit. Scientists and forecasters will be able to use the satellite’s data officially after its five advanced instruments, all significantly upgraded from those on NOAA’s previous polar-orbiting satellites, complete three months of tests. The satellite is designed to operate for seven years, with the potential for several more years. The data these advanced instruments provide will improve weather forecasting, such as predicting a hurricane’s track, and aid in the recognition of climate patterns that can influence the weather, including El Nino and La Nina. They will also help emergency managers respond to events like wildfires and volcanic eruptions and help communities, recovering from severe storms, with better views of storm damage and show the extent of power outages. The data also will be available to aid scientists monitor changes in our environment. “Building and launching JPSS-1 underscores NOAA’s commitment to putting the most scientifically advanced satellites as possible into orbit, giving our forecasters – and the public – greater confidence in weather forecasts up to seven days in advance, including the potential for severe or dangerous weather,” said Stephen Volz, Ph.D., director of NOAA’s Satellite and Information Service. 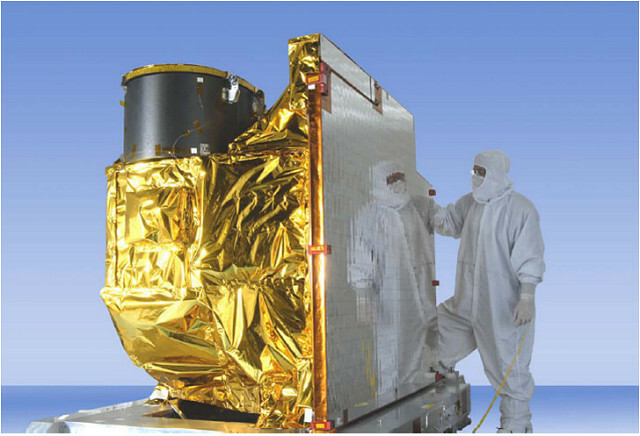 JPSS-1 will join the NOAA/NASA Suomi NPP satellite in the same polar orbit, and will also provide scientists with observations of atmospheric temperature and moisture, clouds, sea-surface temperature, ocean color, sea ice cover, volcanic ash, and fire detection. Together, NOAA and NASA oversee the development, launch, testing and operation all the satellites in the JPSS program. NOAA funds and manages the program, operations and data products. On behalf of NOAA, NASA develops and builds the instruments, spacecraft and ground system and launches the satellites which then NOAA takes over to operate. “Today’s launch is the latest example of the strong relationship between NASA and NOAA, contributing to the advancement of scientific discovery and the improvement of the U.S. weather forecasting capability by leveraging the unique vantage point of space to benefit and protect humankind,” said Sandra Smalley, director, NASA’s Joint Agency Satellite Division. For more information on JPSS-1, visit https://www.nesdis.noaa.gov/jpss-1#liftoff. The launch of JPSS-1, the first in a series of NOAA’s four next-generation operational polar-orbiting weather satellites that will give scientists the most advanced tools to aid in weather forecasting and earth observations, is scheduled for November 10 at 1:47 a.m. PST from Vandenberg Air Force Base in California. These advanced Joint Polar Satellite System (JPSS) satellites will serve as the backbone of NOAA’s weather forecasting system for the next 20 years, providing the reliable, global observations required to support accurate numerical weather forecasts up to seven days in advance. The new launch date has given engineers extra time to complete testing of the spacecraft and instrument electronics and to finish work on the Advanced Technology Microwave Sounder, one of the primary instruments on JPSS. The satellite carries five state-of-the-art instruments providing a comprehensive suite of earth observations. “The JPSS-1 team has done an incredible job getting this extremely capable satellite prepared for launch and ready to send back quality environmental data soon after it is in orbit,” said Stephen Volz, Ph.D., director, NOAA’s Satellite and Information Service. The satellite is scheduled to arrive in California just before the Labor Day weekend, where it will undergo final preparation before it is launched aboard a United Launch Alliance Delta II rocket. When it reaches orbit, JPSS-1 will be renamed NOAA-20. Following launch, JPSS-1 will join Suomi NPP, the joint NOAA-NASA weather satellite giving the United States two, highly sophisticated satellites, each circling the Earth 14 times per day, providing full, global observations for U.S. weather prediction. Suomi NPP, which initially was planned as a research and risk reduction mission when it launched on October 28, 2011, became NOAA’s primary operational satellite for global weather observations on May 1, 2014. Ball Aerospace designed and built the JPSS-1 satellite bus and Ozone Mapping and Profiler Suite instrument, integrated all five of the spacecraft’s instruments and performed satellite-level testing and launch support. Raytheon Corporation built the Visible Infrared Imaging Radiometer Suite and built the common ground system. Harris Corporation built the Cross-track Infrared Sounder. Northrop Grumman Aerospace Systems built the Advanced Technology Microwave Sounder and the Clouds and the Earth's Radiant Energy System instrument. NOAA works in partnership with NASA on all JPSS missions, ensuring a continuous series of global weather data to secure a more "Weather-Ready” Nation.